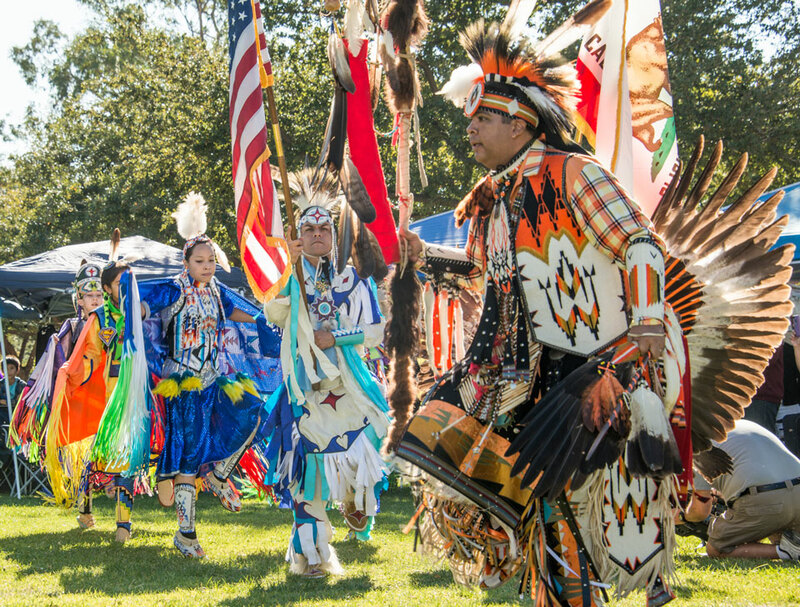 American Indian dancers in a wide array of colorful clothing celebrate native culture at the CSUN 31st annual Powwow on Nov. 29. Photo by Lee Choo. Dancers lead the grand entry into the arena at the CSUN 31st annual Powwow on Nov. 29, held on the university's Chicana/o House Lawn. Photo by Lee Choo. 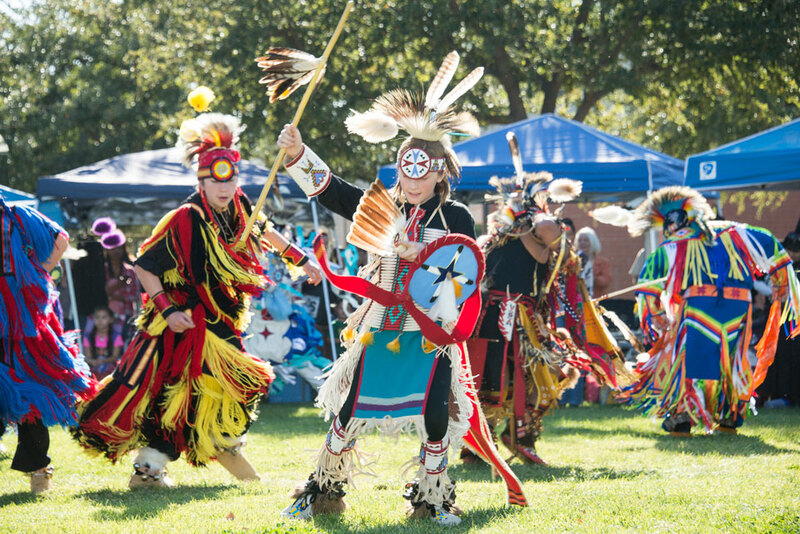 Dancers of all ages participate in the celebration of Native American culture at the CSUN 31st annual Powwow on Nov. 29. Photo by Lee Choo. 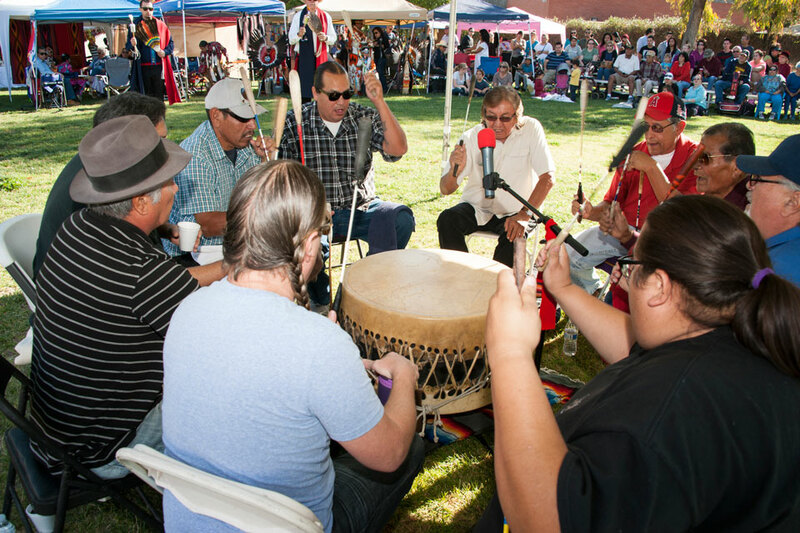 Drummers lead a traditional chant at the CSUN 31st annual Powwow on Nov. 29 on the university's Chicana/o House Lawn. Photo by Victor Kamont. American Indian dancers, flag bearers, singers and drummers lead the grand entry into the arena at the CSUN 31st annual Powwow on Nov. 29. Photo by Victor Kamont. 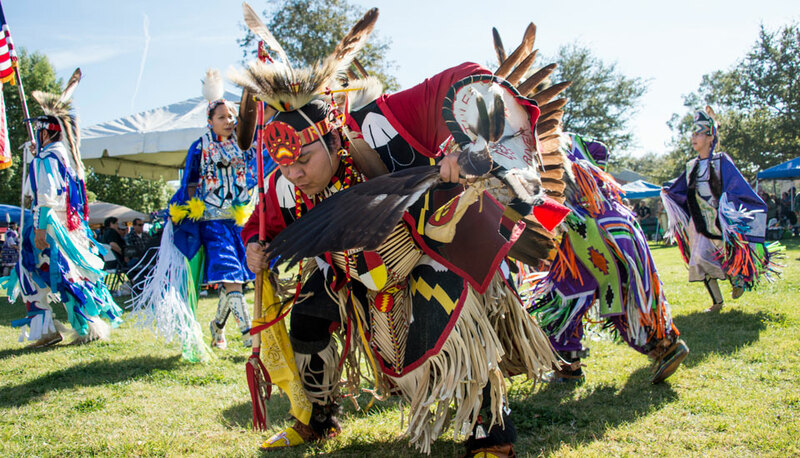 American Indian dancers — young and old alike — participate in the colorful celebration of Native American culture at the CSUN 31st annual Powwow on Nov. 29. Photo by Victor Kamont. 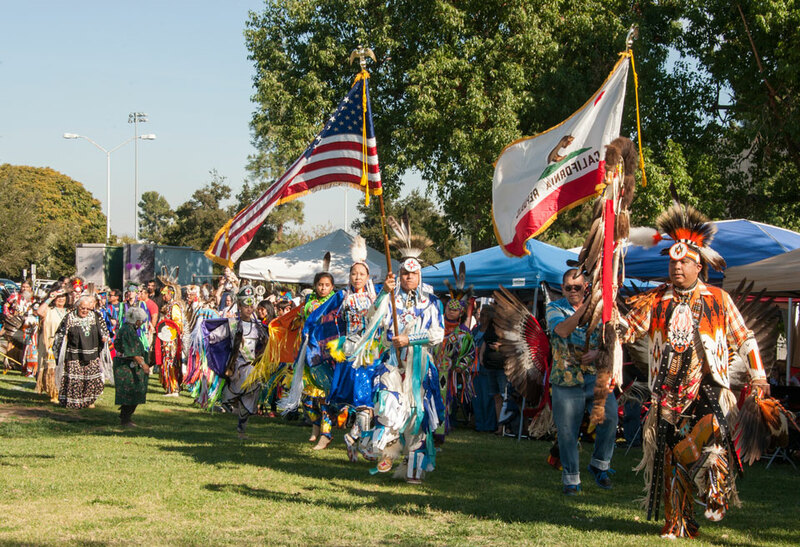 Community members from throughout the San Fernando Valley and beyond celebrated Native American culture on Nov. 29 at California State University, Northridge’s 31st annual Powwow. 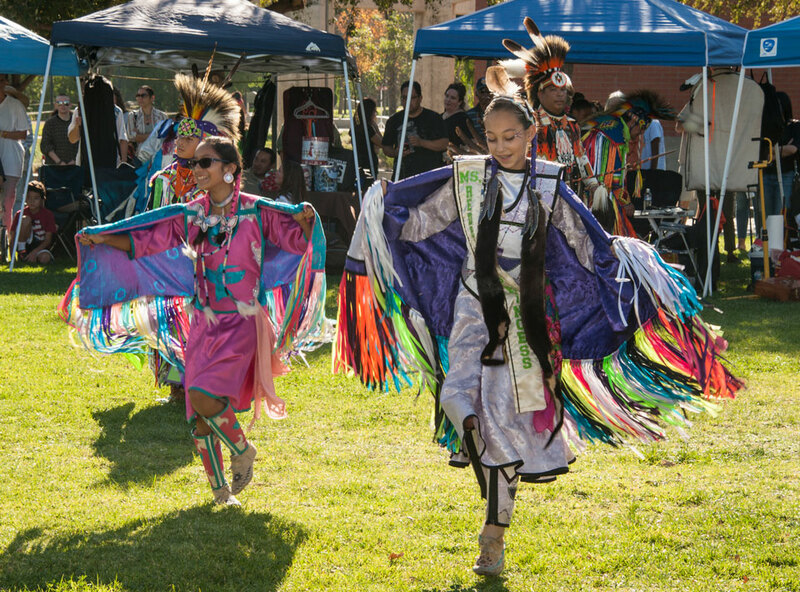 ­­CSUN’s American Indian studies program hosted the daylong festivities on the Chicana/o House Lawn. Native American singers, drummers and dancers kicked off the program with a formal procession into the arena. Traditional American Indian songs were performed to honor the flag and veterans. A variety of powwow dances continued throughout the day. In addition to music and dance, the program featured arts and crafts activities at multiple children’s tables. The Host Drums included Northern: Blood River and Southern: Sooner Nation. Bobby WhiteBird, the master of ceremonies, accompanied Vic Chavez, the arena director, in presenting the Head Man, Johnny Nieto; the Head Woman, Kristi Smith; the Head Boy, Zion Fox; and the Head Girl, Katianna Warren.